A Casa Particular is comparable with a homestay or B&B (Bed & Breakfast) and is the most popular accommodation option in Cuban cities. You live in a bedroom with private bathroom in the house of a Cuban family. Most of the guests perceive this option as a very authentic and enriching experience. It helps you to get to know the real Cuba and the way of life and the culture of the Cubans. 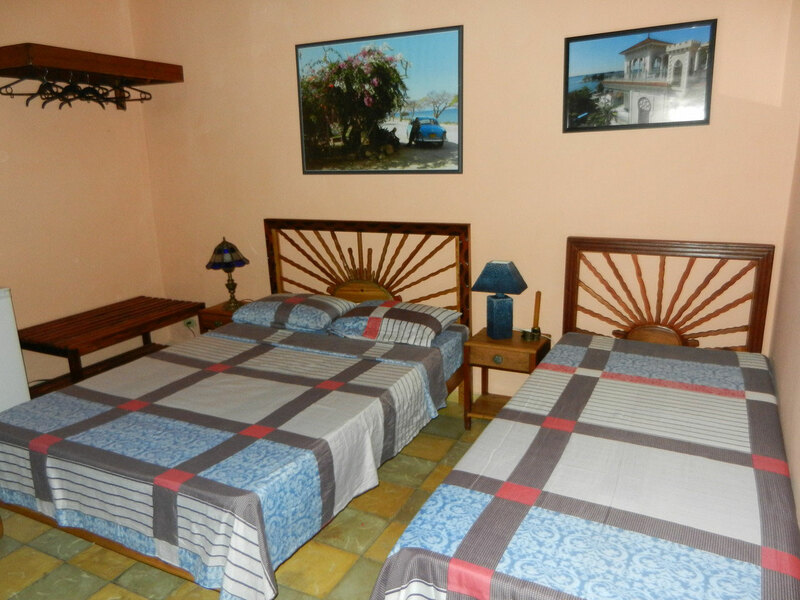 We offer two bedrooms with private bathrooms and air condition in Central Havana, in the house just besides the dance school 'Salsabor a Cuba'. In your bedroom you will enjoy your privacy comparable to the one in a hotel. In addition, you are also welcome to use all the communal rooms and areas of the house. Your hosts will provide you with all the support and personal attention you might need. They also offer meals and laundry service on request. A friend of us rents two apartments in Old Havana, in approx. 20 min. walking distance to 'Salsabor a Cuba'. 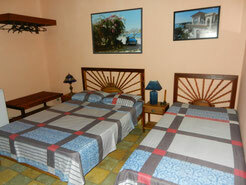 Both apartments have 2 independent bedrooms with one bathroom, living room and a small kitchen. You can rent 1 or 2 bedrooms and the full apartment will be exclusively for your use. The owners do not live in the same house and therefore this is a good option for guests who value a high level of privacy.